If you’re a smoker, and you would like to quit, we can help! 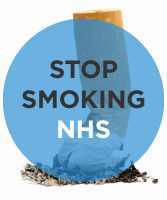 NHS Grampian offers a stop smoking program in Aberdeen. The pharmacy can provide you with Nicotine Replacement prodcuts to help stop smoking, like Nicotine Patches, Sprays or Gum. The service is completely free, and can save you the hundreds of pounds it may cost you to buy patches to quit, and the thousands of pounds it can cost you to continue to smoke. We’d need 5 minutes of your time to learn more about your smoking habits, so we can make sure we give you the most suitable product. You would then return to the pharmacy on a weekly basis to collect your next weeks supply, and let us know how you’ve been getting on.With some friendly, helpful advice and tips from the pharmacy staff, we hope we can help you on your path to kicking the smoking habit.